Batteries have been fitted with individual voltmeters and tinned battery cables. Coppercoat antifouling used from new and reapplied to hull June 2017 with a 10-year warranty, no antifouling required. Lovely quality day boat. A very popular model with the usual Nimbus attention to detail and quality. This boat has had one owner from new and only been in the water for a couple of months a year. Regularly maintained. 'Coppercoat' antifouling system has been used on the boat from new and was re-applied to the hull in 2017 with a 10-year warranty so no need for antifouling! Diesel option engine keeps the fuel cost lower making this a great day boat or even over-nighter with the double V berth and W/C below. British flagged. VAT/TAX paid. 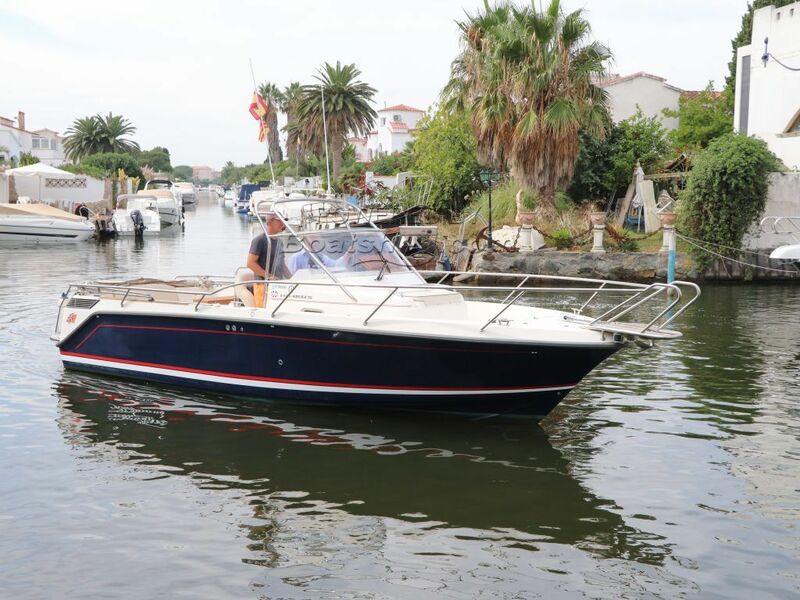 This Nimbus 26 Nova has been personally photographed and viewed by Paul Griffiths of Boatshed Costa Brava. Click here for contact details.